Just as we suspected, that record-breaking hot spell in May was indeed a sign of things to come and we have been enjoying the summer heatwave. After all, with air conditioning systems that work well, why wouldn’t you? You can enjoy the cooling effects of a constant temperature indoors and make the most of the warmth when you are ready to go outside and enjoy it. 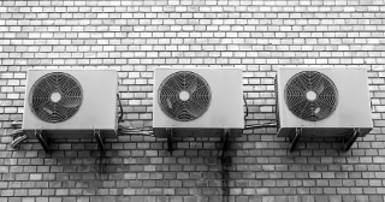 But not everyone is reaping the benefits of their air conditioning units – or at least not as much as they could be. If units are not properly maintained and serviced then they will not work as efficiently as they should. This is why we recommend regular maintenance and why we also offer a deep cleaning service as an additional option. What does servicing and maintenance do? As with any machinery, regular checks are essential for a smooth operation. We recommend an annual service at the very least, but ideally a check every six months – or before you start using your air conditioning unit to cool in the summer and before you starting using it to heat in the winter. If you operate an HVAC system then a six-monthly check is the minimum maintenance recommendation period. Check your manufacturer’s manual for guidance on the right frequency for your units. Clean or change filters. For hard-working units a quarterly check and change is even better to ensure smoother working and greater efficiency. Cleaning coils and fans. They will quickly collect dirt and dust leading to potential overheating and overworking of your units. This is particularly important for outdoor condenser units which can also collect debris, leaves, and twigs from surrounding trees. Inspect unit for signs of operational wear and tear, coil damage and possible refrigerant leaks – a callout or pressure test will be recommended if a problem is suspected, so that full diagnosis can take place. Clean the fins on all fans to remove any build-up of dust and dirt. Remove all panels and vent covers to clean and remove any hidden dirt and dust. We often find small animals that have burrowed into units and built their nests as they are warmer than outdoors in winter. Flush coils and pipes to remove any build-up of dirt, grime, or mildew. Coils will be cleaned and sanitised. Where they may be bent, which is not unusual as they are made from aluminium, they will be straightened or recommended to be replaced to allow a clear flow of air through the system. Check and clean all ducts and pipes to remove dust and grime. Check external units and deep clean to remove any build-up of dust, leaves, or other debris.